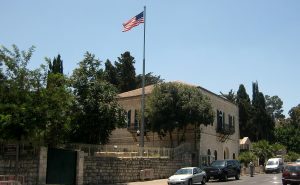 The United States plans to host about 800 guests at an opening ceremony of its embassy. U.S. President Donald Trump’s daughter Ivanka and son-in-law, Jared Kushner, will be on hand, while Trump addresses the ceremony via video, reaffirming his December 2017 decision to move the American embassy from Tel Aviv. “That’s not simply something that has an effect on the conditions in Israel, but it says to world leader all around the world, when he says he’s going to do something, he does,” Bolton told VOA on Friday. Senator Ted Cruz (R-Texas) announced on Saturday that he will attend the opening of the US Embassy in Jerusalem on May 14. He will join the president’s delegation, which includes daughter and son-in-law Ivanka Trump and Jared Kushner, Treasury Secretary Steve Mnuchin along with US envoys Jason Greenblatt and David Friedman. Palestinians and much of the world community have deplored the announcement. The USA, Israel, and a few other nations support it. Some consider the move of the US Embassy to Jerusalem as prophetic. Because of Donald Trump’s decision related to Jerusalem, some think this will make it easier for a ‘Third Temple’ to be built there and that Donald Trump is the biblical ‘Cyrus’ (see Donald Trump reportedly a ‘Cyrus’ preparing the way for a new Jewish temple and Sanhedrin releases a Trump-Cyrus ‘Temple Coin’ and Claims ‘Third Temple’ needed to avert war). What may this have to do with the Palestinians? There was also Melchizedek, king of Salem (Genesis 14:18), to whom Abraham paid tithes (Hebrews 7:2). Salem appears to be a reference to early Jerusalem. This is well before there were any Jews as Judah was the great-grandson of Abraham. The Jews were certainly not the first peoples in Jerusalem. Although Jerusalem became the capital of Judah, he Jews were basically pushed out of Jerusalem in 606 B.C. by the Assyrians. And from then, until its destruction in 70 A.D. and then again later in 135 A.D., when the Jews were forced out and the city was renamed Aelia Capitolina, Jerusalem was under the authority of Gentile governments. So, obviously Jerusalem was NOT the capital of the Jews for 3000 years. In 1517, the Turks gained control for 400 years. The Turks surrendered Jerusalem to the Brits in 1917. Israel got the rest of Jerusalem through the war in 1967–but it will not keep it as it has. The US Embassy in Jerusalem will not last. Furthermore, the Palestinians will make gains in the area according to various scriptures (see also Gaza and the Palestinians in Bible Prophecy). The Vatican may also be involved in that. The current world order is changing and will change further–the final time of the Gentiles is coming (Luke 21:24; Revelation 11:1-2; see also The Times of the Gentiles). The US Embassy move will harden certain positions and, ultimately, contribute to the fulfillment of the fact that Gentiles are prophesied to dominate Jerusalem. This entry was posted on Saturday, May 12th, 2018 at 9:15 pm	and is filed under Prophecy.